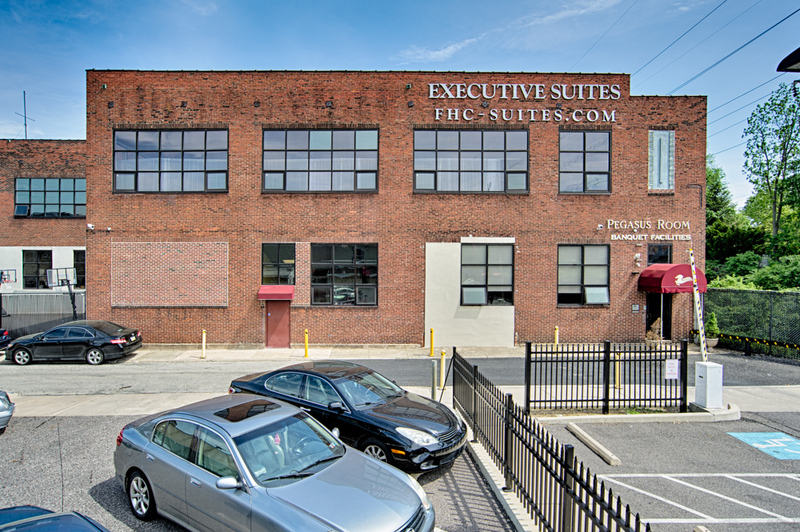 The Executive Suite Center in Germantown provides office space and services to in-house clients, and home based businesses who need office space with a professional environment. We serve small businesses and corporate clients requiring a part-time or full-time office with professional services and maximum flexibility. All offices are available on short or long term leases, and office sizes can range from a small desk of 36 square feet, to 1,200 square feet. Our Executive Suite Center clients will have a recognized business address, conference room, lounge/media room, and kitchen. Our site offers personalized phone answering service capabilities with high speed internet access. Clients also have access to a banquet hall / large meeting space located on the premises. In addition, our site offers plenty of indoor and outdoor parking as well as immediate access to transportation. We are adjacent to Chelten Avenue station on the SEPTA Regional Rail Chestnut Hill West Line (R8) and across the street from the SEPTA bus depot on Chelten Avenue. Click here to view an animated video of the Executive Suite Center. 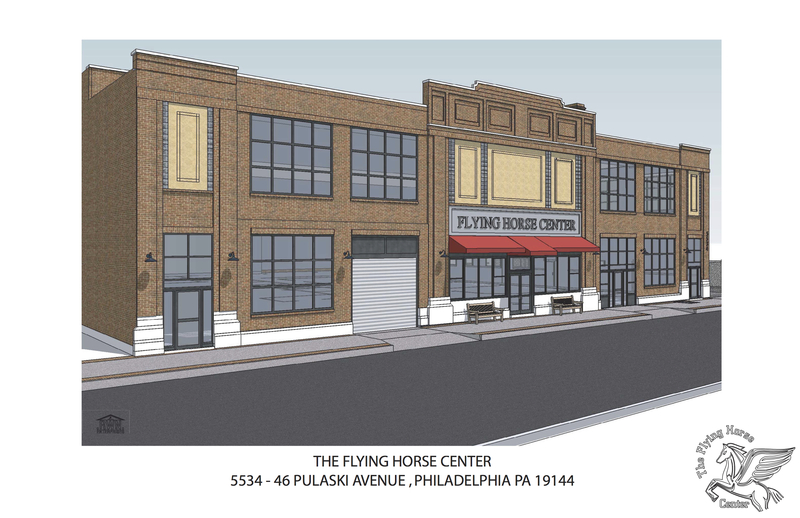 An award-winning building located at 5534 Pulaski Avenue in Philadelphia’s Germantown neighborhood, the Flying Horse Center is a 54,000 sq. ft. parking garage built in 1926 that has been converted into a premier, multi use building. 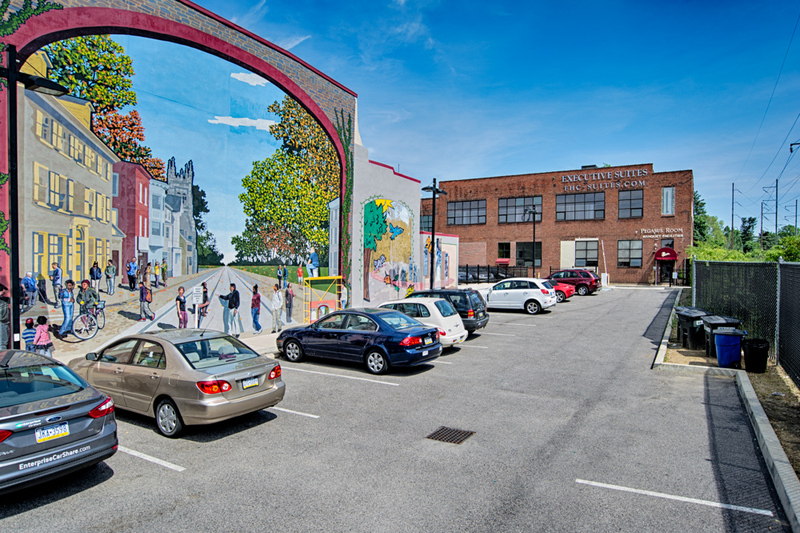 This property has been recognized as a leading example of the adaptive re-use of industrial buildings in Philadelphia. It highlights the important role of design in making new and positive assets in urban neighborhoods, and combines an homage to the industrial past with a vision for a forward thinking, new industrial and urban renaissance. 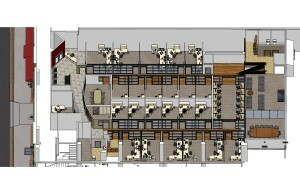 The Flying Horse Center is currently in the final renovation phase of a 7,000 square foot development of executive office space (www.FHC-Suites.com ). 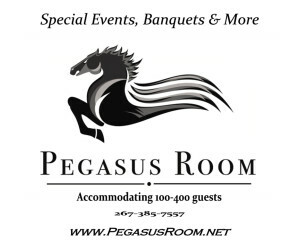 The Center also contains the Pegasus Room (www.pegasusroom.net), a 7,000 square foot banquet hall space. All renovations and or construction have been performed by his MBE and minority owned company, Smith Houston Inc. (www.smithhouston.com). 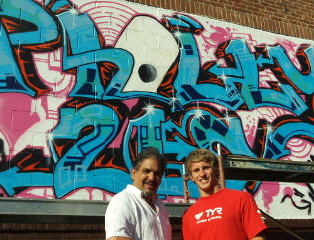 Responsible Graffiti is a program started by Stan Smith as a way to solve multiple problems with a single task-engage the local street graffiti “artists” to purposefully paint up some of the blank walls on the Flying Horse Center, his large mixed use building in Germantown. Responsible Graffiti’s mission is to ask the artist to be responsible with the tagging of the painting. “We can all get along if you stay in your boundaries”, said Smith. The first artists began working in 2010, and focused on those parts of the building that were the prime victims of tagging. Stan is now looking for additional artists to pick up where the original one left off. For more information on this project contact Stan’s office at 215-848-1133. Click here to see what the PhiladelphiaRealEstateBlog.com has to say about it. Click here to see the video on YouTube.com. Situated in the Historic Germantown, The PEGASUS ROOM is a 7,000 sq. ft banquet hall and event space which can accommodate gatherings up to 400 people. It is easily accessible to SEPTA Commuter bus and rail service at the Chelten Avenue Station, adjacent to the development. The facility is available for weddings, private events, celebrations, corporate board meetings, community events, birthday parties, sweet sixteen, baby showers and memorials & repast celebrations. The PEGASUS ROOM is one of the few banquet facilities in Philadelphia that allow clients to choose their Catering Options. Pegasus Room is housed inside of the Flying Horse Center. Built in 1926, the two story elevator building boasts high ceilings, lots of natural light, vast flexible space, an Art deco Façade and a beautifully restored brick and stucco façade. This property is a leading example of industrial reuse in Philadelphia. Today, it is one of Germantown’s most important buildings; a tipping point for entrepreneurs, small businesses and the community alike.